Hormone receptors (ER, PgR) and HER2 are the only established biomarkers for early and advanced breast cancer. They are prognostic but mostly importantly also predictive for response to the respective targeted therapies. In luminal HER2-negative early breast cancer with up to three involved lymph nodes, evidence-based multigene assays (e.g., Oncotype DX, MammaPrint, EndoPredict, Prosigna, Breast Cancer Index) have become available for accurate assessment of relapse risk. All these tests were developed and validated in archival tissue cohorts, mostly from prospective clinical trials. First prospective data from validation trials for Oncotype DX and MammaPrint demonstrated excellent survival in genomically low-risk patients. Adjuvant chemotherapy with its toxicities may thus safely be omitted in such low-risk patients. So far, next to ER, PR, and HER2, no molecular factors have validated clinical utility for prediction of therapy response or resistance to a specific drug or therapy regimen. Considering the advent of several highly effective targeted agents in breast cancer, new molecular biomarkers, in particular for prediction of therapy response, are urgently needed in order to individualize therapy. Molecular analysis methods and modern high-throughput techniques provide great promise for identification of new biomarkers. 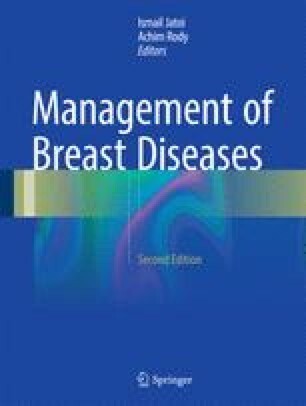 Yet, as a bad biomarker can potentially be as dangerous for patients as a bad drug, thorough technical and clinical validations together with undisputed clinical utility are the perquisites for introducing new markers into the clinic. AGO recommendations 2016 for diagnosis and treatment of early and advanced breast cancer. Available from: www.ago-online.de.